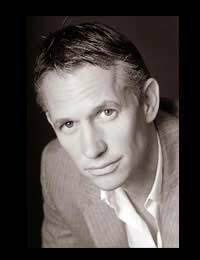 Now known as a television presenter Gary Lineker was indisputably England’s most successful forward from the mid-eighties to the early nineties. At his best when he was able to partner with a provider such as Peter Beardsley, Glenn Hoddle or Paul Gascoigne, he was the highest scorer in the 1986 World Cup and striker for the team that narrowly lost to Germany in the semi-finals of the 1990 tournament. He is one of only three English players to have scored four goals in a match on two occasions (the others being Jimmy Greaves and Steve Bloomer). After early development at Leicester City (his home club) Lineker spent three seasons at Everton and broke into the England team in 1984 against Scotland. He became first choice striker in the run-up to the 1986 World Cup and played in three other major tournaments. After the initial lack-lustre group matches of the 1986 World Cup things began to pick up with a vital win over a much-fancied Polish side, Lineker combining well with the guile of Peter Beardsley and scoring all the goals in a 3-0 win. The team went on to beat Uruguay 3-0 in the second round with Lineker getting two, he then got England’s goal in the infamous 2-1 defeat against Maradona’s Argentina in the ‘Hand of God’ match. Maradona’s second goal was the goal of the tournament in that match but Lineker got the Golden Boot awarded to the highest scorer of the tournament. England went into the 1988 competition in Germany with high expectations having won everything bar one (drawn) match during qualification. They were heavily fancied to take the cup but lost every game during the group stage and failed to progress. Lineker didn’t score a single goal and it seemed that his touch had deserted him, and it was only after the tournament that he was diagnosed as suffering with hepatitis B. Losing in the 1990 World Cup semi-finals is still the best showing for an England team since winning in 1966 and Gary Lineker was at the heart of it. After a few scares in the groups stages England entered the quarter-finals against Cameroon and were stunned to be 2-1 down in the last fifteen minutes. Then Lineker’s constant threat in the penalty area led to two penalties, which he took and scored to take the team into that legendary semi-final against the Germans. He ended as the third highest scorer in the tournament with 4 goals, along with three other players. England scraped through qualifying for the finals of this tournament in Sweden, Gary Lineker securing the place in a 1-1 draw at Poland with an intuitive overhead volley. The omens weren’t good and the team struggled with a number of influential players, such as Paul Gascoigne, out through injury. After two 0-0 draws in the group stages, England took an early lead through David Platt in the final must-win group match against Sweden. But Sweden came back in the second half to score two goals and Lineker was substituted in the 61st minute for Arsenal’s Alan Smith. No one could make sense of the substitution as Lineker wasn’t getting the service, and a different player in that position didn’t change anything. As Lineker was one goal away from equalling Bobby Charlton’s record for the number of goals scored in an England shirt, the press pilloried the England manager, Graham Taylor, and he ended up being a target for scorn from the tabloids until the end of his tenure. As so many of his goals were taken in the six yard box Lineker is often referred to as ‘goal-hanger’ but this undermines his strong positional awareness that made so many of those goals possible. One goal against Germany in the semi-final in Italy looks like a fluke until further examination shows that he deliberately allows the ball to come across his body and brush his left thigh. This touch takes spin and speed off the ball and moves it to the left past the defenders, making space for him to shoot left-footed across the keeper into the corner of the net. This goal came 9th in a vote held by Sky Television in 2005 to find England’s 50 best goals, and in fact Lineker had more goals (four) in the final 50 than any other England player. So goal hanger no, but master poacher, definitely yes. The defeat by Sweden in 1992 turned out to be Gary Linker’s final game for England and although he was still one goal away from Charlton’s record of 49 England goals, he got his 48 with 26 fewer caps, which is an extraordinary record considering the more defensive emphasis of the game during Lineker’s era. He was also never booked or sent off in his career, either in international or club games. During his stints abroad with Barcelona and the Japanese team Grampus 8, he distinguished himself by becoming fluent in Spanish and Japanese respectively. After a string of niggling injuries forced his retirement in 1994 he developed a new career as a TV presenter on sports and quiz shows for the BBC, and has featured in a long line of self-deprecating adverts for Walkers Crisps. He is remembered for saying “Football is a simple game; 22 men chase a ball for 90 minutes and at the end, the Germans always win”.